Director Shri Prakash will present the films and host a discussion. While many environmentalists appeal to nuclear energy as a source of clean, carbon “free” energy, across the globe communities who face the ongoing nightmare of toxic residue from uranium mining tell a different story. Over the last two decades, Shriprakash has explored the legacy of uranium mining and its human health impacts in indigenous communities in India, the southwestern US, Mali, and the Congo. Shriprakash will screen his 2017 release Nabikei and his award-winning Buddha Weeps in Jadugoda (1999). 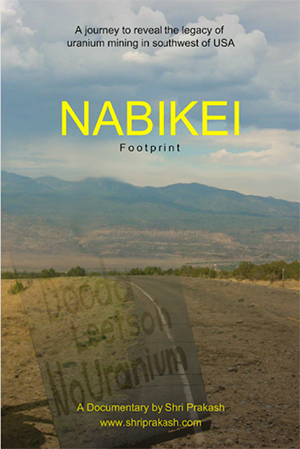 In Nabikei (Footprints), Shriprakash explores how uranium mining has altered community life for the Navajo Nation and for the Laguna Pueblo people, and investigates the impact of some 5000 orphaned mines on Indigenous land. 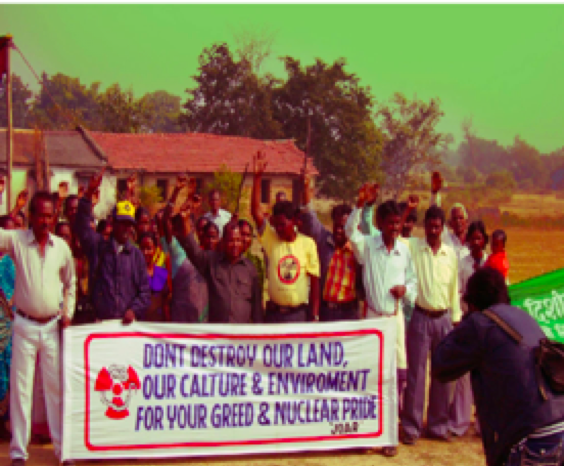 The film Buddha Weeps in Jadugoda highlights the health and environmental crisis unleashed in neighboring Adivasi (Indigenous) communities by uranium tailings leaching into the local water supply. Both films beckon viewers to consider how uranium mining – both for energy and weapons production – has erased Indigenous communities while exposing them to radioactive harm and its intergenerational footprint. Director Profile: Shriprakash is an award-winning documentary filmmaker who has focused his lens on energy justice, uranium mining, and indigenous issues three continents: Asia, Africa, and North America. He is also a founding member of the Jharkhandi Organization Against Radiation, Jadugoda, which was awarded the Nuclear Free Future Award in 2004. He teaches in the Department of Media Studies at St. Xavier’s College in Ranchi, India.